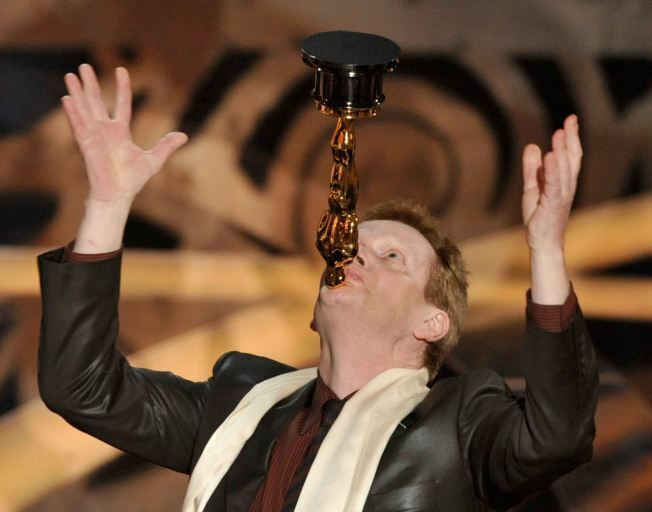 Performance artist Philippe Petit poses with the Best Documentary award for "Man on Wire" during the 81st Annual Academy Awards held at Kodak Theatre on February 22, 2009 in Los Angeles. This year's Academy Award winning documentary, "Man on Wire" will get a special screening next month at the Cathedral Church of St. John the Divine, where the film's star is the artist in residence. Philippe Petit, who on August 7, 1974 walked a tightrope stretched between the tops of the World Trade Center's North and South Towers, will also be on hand for the April 15 screening for a Q&A session. During the December celebration for the re-opening of the cathedral, Petit put on a half-hour performance, which included a tight-wire performance on a rope held by members of the audience (which happened to include actor David Duchovny). Tickets for the benefit screening are priced at $20. You can purchase online or call (866) 811-4111. The cathedral, located at 1047 Amsterdam Ave., is the mother church of the Episcopal Diocese of New York and the seat of its Bishop.